PRO Oakland supports nonprofits and small businesses impacted by AC Transit’s Bus Rapid Transit (BRT) construction along International Boulevard in East Oakland. 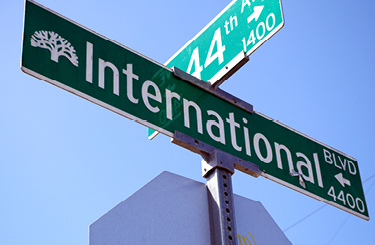 International Boulevard extends ten miles through several diverse communities in East Oakland where AC Transit is planning to add a dedicated Bus Rapid Transit (BRT) lane meant to address the need for better public transit options in the area. While the BRT is an exciting addition, better connecting area residents to other parts of the city and Bay Area, the three-year period of construction is expected to have a tremendous impact on local small businesses and nonprofits serving low income residents. In order to mitigate this disruption, avert displacement, and prepare these entities to thrive once construction is complete, PRO Oakland offers expert technical assistance and flexible capital that these organizations can take advantage of to weather the disruption, build their capacity, address facility issues, and other foundational needs. 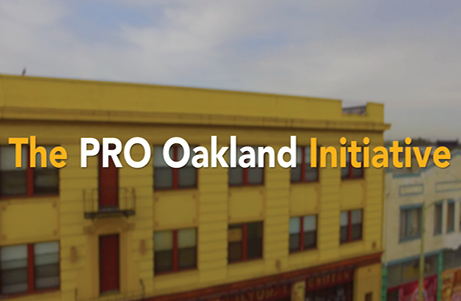 Funded by JPMorgan Chase & Co.‘s PRO Neighborhoods Initiative, PRO Oakland is a partnership between Northern California Community Loan Fund and Main Street Launch (formerly OBDC Small Business Finance).